“Hello. I sadly lost my GoPro Camera model Hero(3) on Christmas day on the shore of Surfers Paradise. I entered the beach through Clifford Street, a few minutes south of the main hub of the beach, in between the life guard section. It had a GoPro 3 LCD touch screen affixed. The memory card contains some pictures of myself on the beach in a floral print bikini. I have long blonde hair. 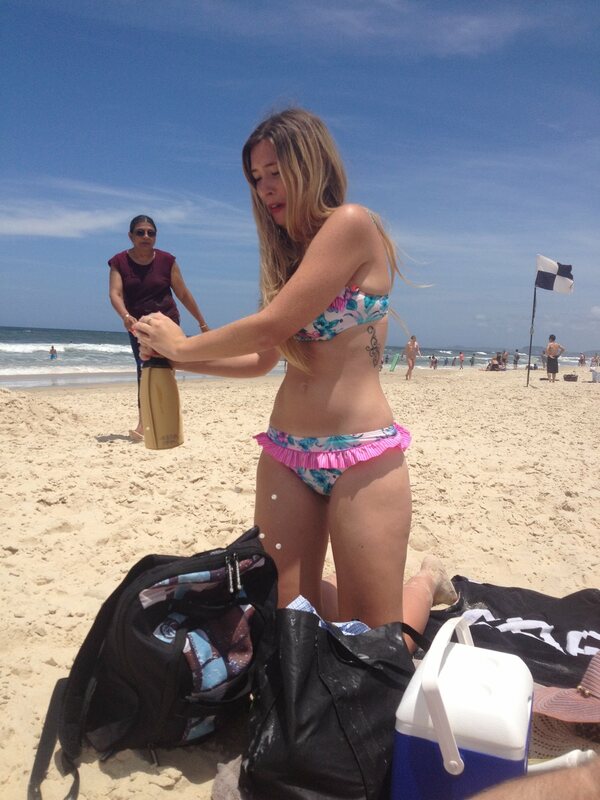 I have sent an image of myself on Surfers Paradise wearing the bikini to thelostgorpro. I am happy to meet wherever to pick it up. Reward if found! A massive big thank you in advance! If you think that this might be yours, please send us a message. We’ll pass it to Curtis!